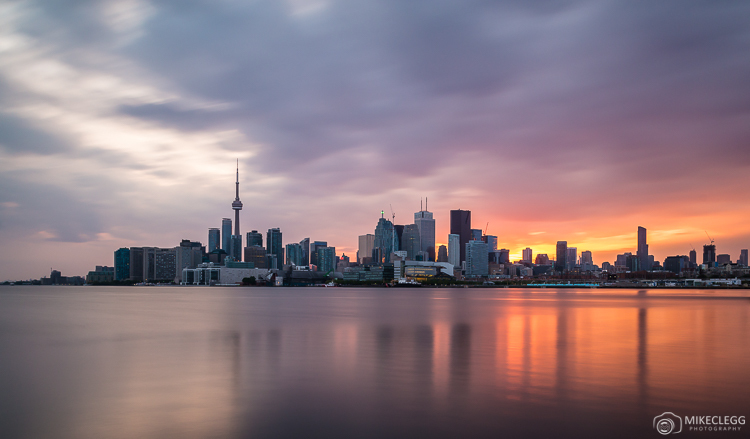 Are you visiting Toronto and want to know some of the best spots for capturing the cities skyline? 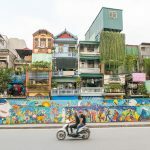 In this post I will tell you the best spots that I have found, and further below you’ll find some photography tips for taking pictures of the skyline. All these suggestions are places that you can access for free, or by paying entry. You may see other more unique angles online, but these may be from private locations where photographers have gained access to that photo spot, with or without permission. I personally think Toronto needs to do more to provide more accessible high spots, such as rooftop bars and observations decks. 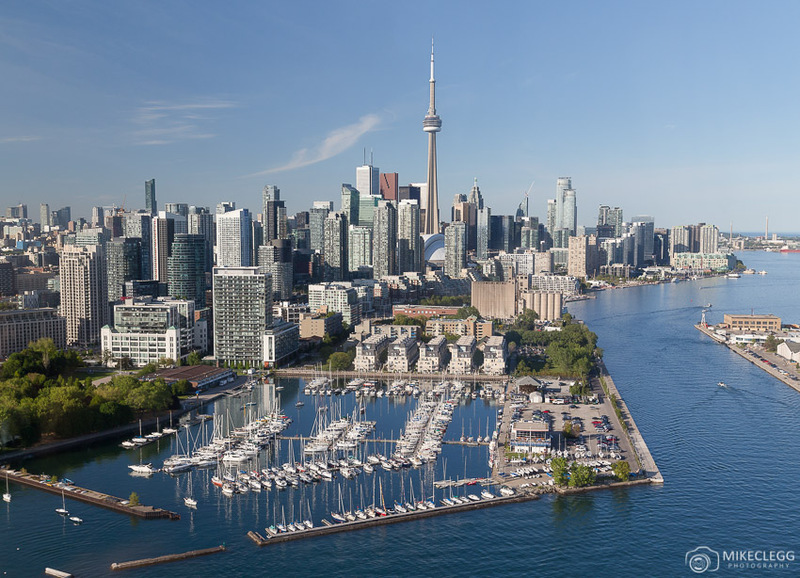 However, besides the CN Tower or taking a helicopter tour, it’s quite hard to find many good aerial locations. 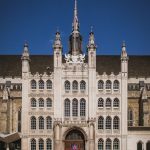 So want to know the best places around the city for your pictures? 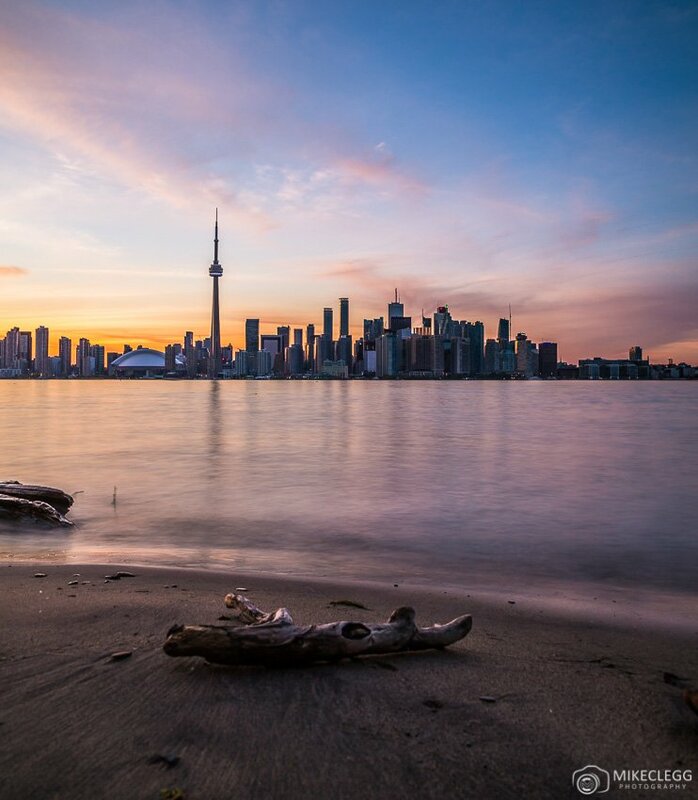 Below are the best spots around the city to capture the Toronto skyline. 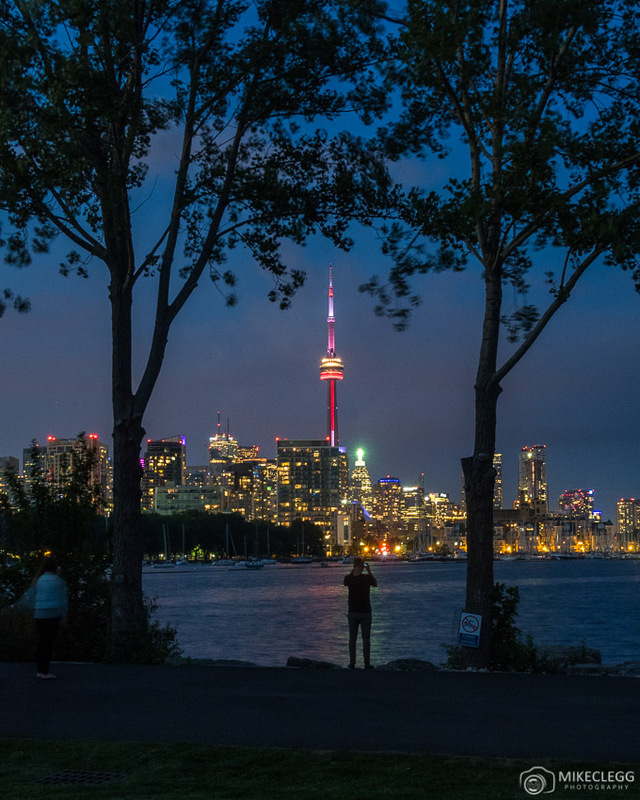 A great place for a walk and to see and enjoy the skyline is from Humber Bay. Along this area of the lake, which is west of downtown, you’ll find a boardwalk and beach area. Further along, there is an arched bridge and from that area is a great spot for taking pictures or just sitting down and relaxing with the view. For those that want to get nice sunrise shots this is one of the best spots as the sun often rises behind the city. 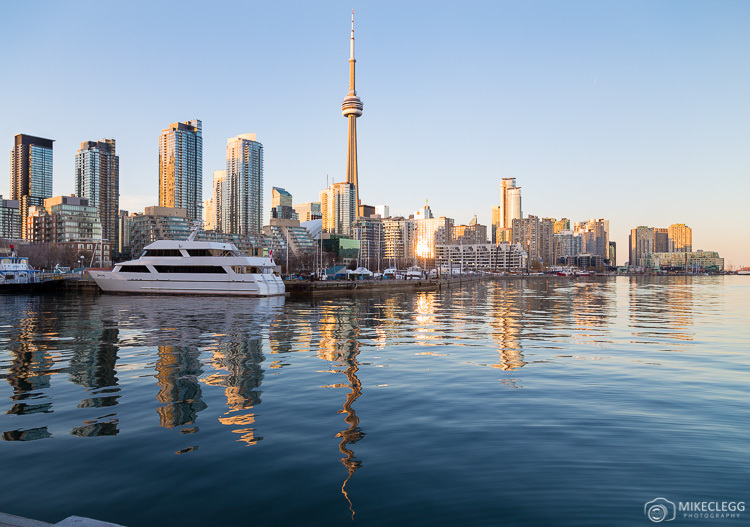 Slightly to the east of the city you’ll find Polson Pier. 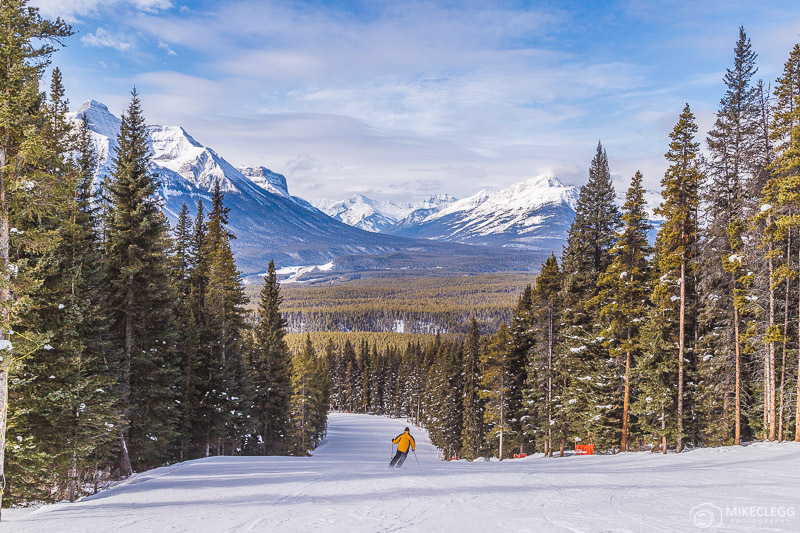 This is one of the classic spots and provides an awesome perspective all year round, including in the winter. You can get here by public bus, drive, or Uber. 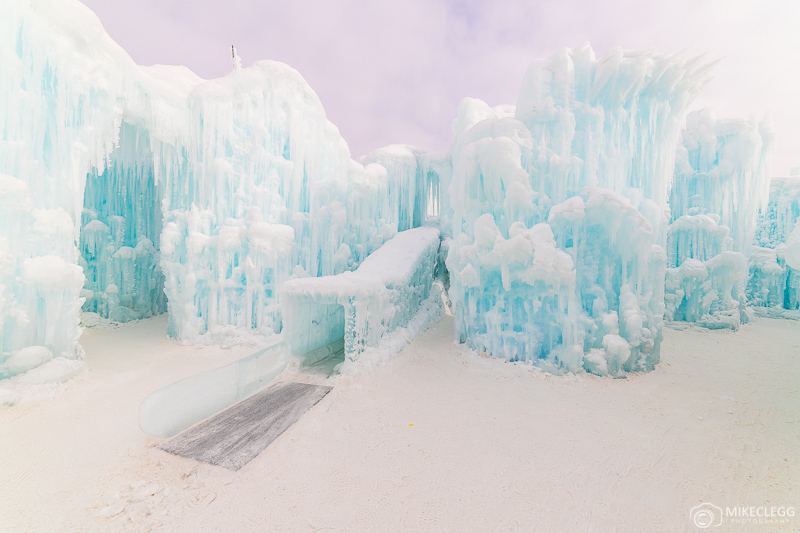 If you visit in the winter, make sure you wrap up warm, and I mean really warm as the wind can be ice cold! Trillium Park is one of the cities newest parks and is quite downtown, but west a little and jutting out into Lake Ontario. It’s nice to go here both day and night to enjoy this view. This park offered one of my favourite viewpoints. The view is within the city and slightly east of downtown. The quickest way to get here is to get off at Broadview Station and then taking a tram south or walk for around 5 mins from the station. One thing I particularly like about this viewpoint is that in the foreground you have a hill that overlooks a running track and also a baseball cage and it’s nice to sit and just watch people on the track or playing baseball with the skyline in the background. You’ll find another pic from this angle toward the end of this post. 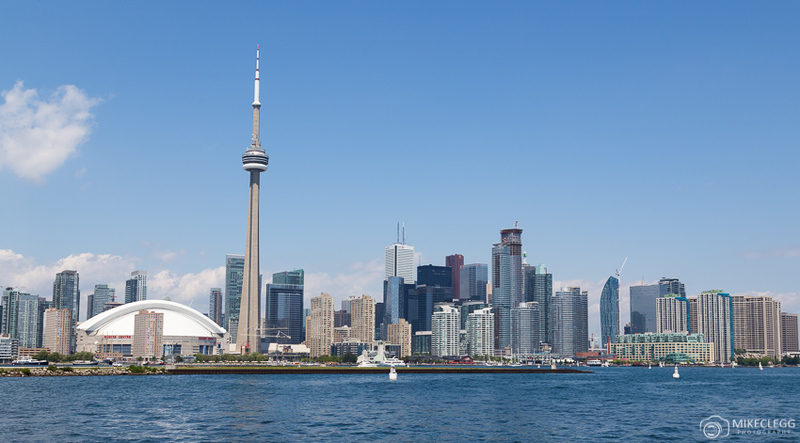 The CN Tower is one of the cities most iconic and well-known attractions. 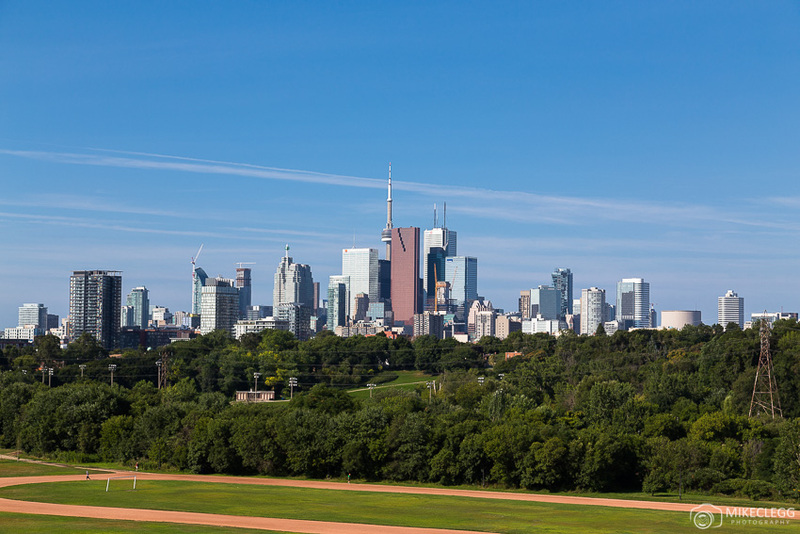 Being so high it also serves as one of the best spots to see and take pictures of the Toronto skyline. You have to pay to go up but it’s a nice experience. The Ireland Park is towards the cities waterfront and offers a side view of the city. The water of Lake Ontario can be particularly still here at times where you may capture reflections photographs such as below. You can also visit this location in the winter when there’ll be ice on the lake which is sometimes very reflective, or a bit cracked adding a different perspective. For a unique perspective consider taking a helicopter tour. 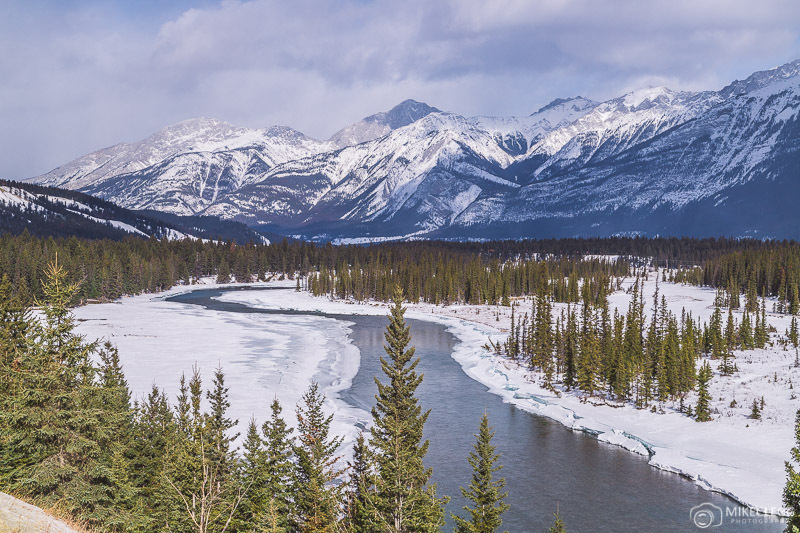 These go pretty quick so make sure you have your camera set up and ready before you board, such as a fast enough shutter speed to accommodate the speed of the moving helicopter. One of the best and also the most popular spots to capture the skyline is to head over to the Islands. By taking the ferry you can get off at either Ward’s, Centre or Hanlan’s Islands, and all of them offer a slightly different view. For information on the ferries head to torontoisland.com. The Centre Island is one of the most popular spots facing directly in front of the city. Once you get off the ferry head to Olympic Island where you’ll find lots of spots to enjoy the view. Also nearby you’ll find the Centreville Theme Park and directly on the other side (away from the city) is a beach which is great in the summer. This island is towards the east and provides a slight angle. You’ll also find small houses here of the people that live on the Island. This particular spot also has a small beach facing towards the city which is great to add into your shots too. This isn’t the best view, although still nice to go to if you have time. If you like walking you could get off the ferry at this point and then walk round to Centre and Olympic Island, although it may take around an hour! Taking pictures of the skyline at night will leave you with some of the best photographs. During this time the city lights up and when taken with a long exposure you should be able to capture beautiful shots. Consider using an ND filter to smooth water and create streaky clouds. 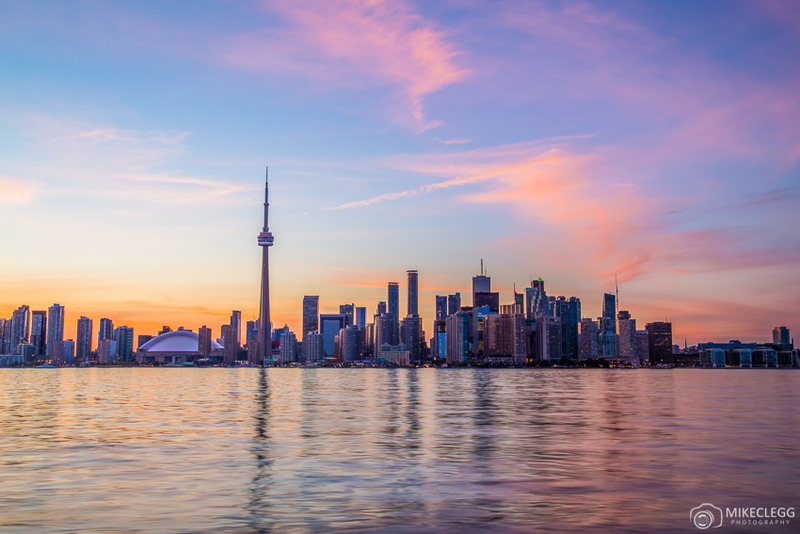 The Toronto skyline is fantastic to photograph, and with so many good spots around the city taking pictures is that much easier. Do you know of any other great locations? Please leave a comment below. 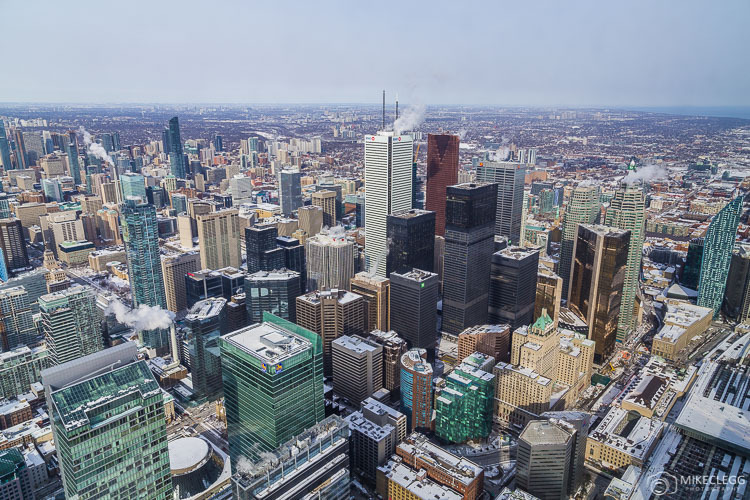 Hey Buddy!, I found this information for you: "Best Locations to Capture the Toronto Skyline". 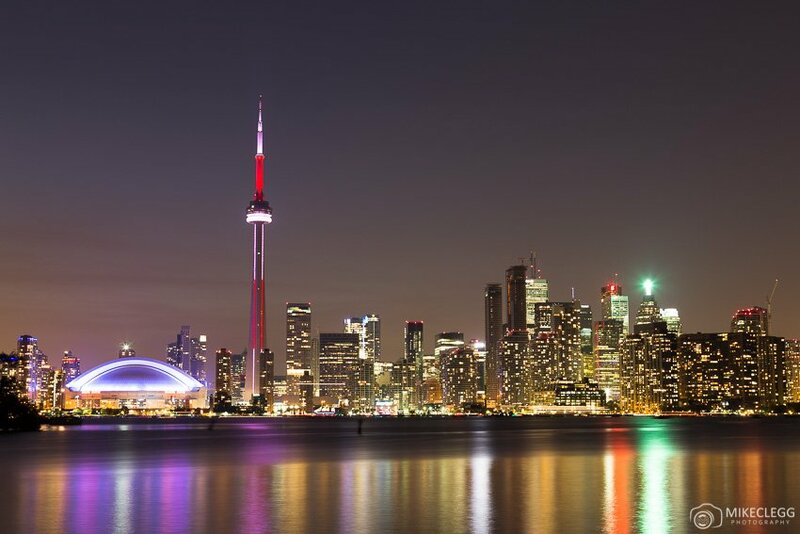 Here is the website link: https://www.travelanddestinations.com/best-locations-to-capture-the-toronto-skyline/. Thank you.